Speculoos is a Dutch biscuit typically baked during the Christmas holiday. Lotus makes a Speculoos cookie butter that you can eat any time of the year. 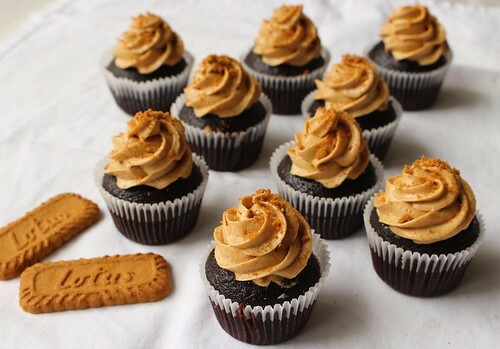 Grace Chan made these cupcakes with Speculoos Cookie Butter Frosting. This sounds fantastic. I'm addicted to cookie butter!